Flowers are a vital element and widely used in the decoration. In the form of printed textiles, painting walls, or in the form of natural flowers, flowers are able to give the rooms a natural, young and lively air. The decor with floral theme can be used in a variety of environments and situations: a living room, a living room, a bedroom or to decorate the room of a teenager or a child. The possibilities are endless and the result is always beautiful. It's just a matter of letting your imagination and creativity put into play. Floral prints leave ample room for personal taste, as there are flowers of all sizes, shapes and colors. There are even futuristic and abstract flowers. Another advantage of the flowers decorating walls, furniture and accessories is its ability to combine a wide variety of other patterns and textures: polka dots, stripes, waves, circles and geometric prints. One consideration to keep in mind is not to saturate the environment with too many prints. To do this, you should intersperse solid colors with prints. For example, if there are carpets and floral curtains, choosing a chair plain color that contrasts with the colors of floral print. 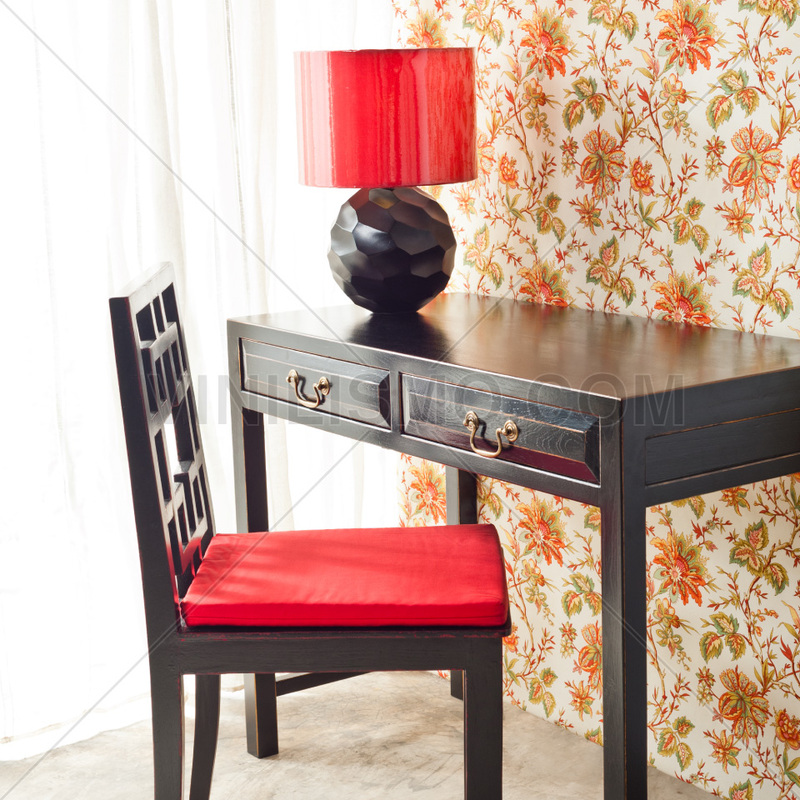 You can also include flowers in your furniture: upholstered couch with floral pattern, a puff couch with flower shape for a girl's room, or a more original option: decorate a table or dresser with a vinyl with floral print. The wall decals can be applied in a variety of surfaces, including wood. When you want to give a different style furniture, you simply fold. A good choice to accentuate the floral style is the addition of flowers in accessories. In decoration shops you will find many options in lamps, cushions, carpets, curtains and other objects. Take care that objects are integrated in the environment naturally. For the decoration of walls, the options are also limitless. You can choose to leave them painted with one color and then include flowers on the furniture or accessories, or give greater prominence to the walls with a painting of flowers in bright colors are the protagonists of the decor. An easy and interesting way is through the use of wall decals. You simply choose the floral motif of a catalog, or order a custom design that you want to decorate walls and place it on the wall. The floral style gives a lot of freedom and leaves much room for play on personal taste, but must be careful not to overdo it and saturating the atmosphere. This entry was posted in Interior Decoration, Wall Decals on October 30, 2015 by Vinilismo. The Victorian decor is one of the most famous and traditional, widespread especially in the United States and England. He was born mainly as a style of architecture during the reign of Queen Victoria of Britain since the mid to late nineteenth century. Then, by its sobriety and particularities, invade other areas such as fashion, literature, decorative arts and visual arts. It is one of the classics that never go out of fashion. If you currently have a home decorating project and are interested in the Victorian style, follow our advice. The furniture in a room decorated in Victorian style should be rather large and wood. They have curved lines and hand carved. They have ornaments and, if you have upholstered, are leather or floral patterns. In the bedrooms, the beds should have big heads. As for the tables, it is preferred to choose the round and wide feet. This style of decoration highlights the use of textures. The most commonly used fabrics are silk and velvet, which can be applied in curtains and upholstery. On the curtains can be added embroidery, lace, tassels and fringe. As for the colors used for the decoration of houses in Victorian style, you must choose between the darkest ranges: red, brown, gold and green. There is also room for the purple and mauve. This is one of those styles of decoration that does not skimp on the presence of accessories. If you visit a decoration shop, you will find many options Victorian accessories: statues, candles, mirrors, photographs, trunks with an antique touch. Take care that no "bare spots" in the rooms. Floors should be preferably wood. You can also include carpets to create contrast in the room. One aspect that some people forget when carrying a home decorating project is enlightenment. In the case of Victorian lighting it is key: if it gets into your budget, consider buying a vintage chandelier to make it protagonist of the room. Failing that, look for light bulbs whose shape mimics that of candles. If possible, allows natural light through the windows. When paint or decorate the walls, you can opt for floral patterns, or including birds and butterflies. To avoid clutter, complications and save time and money, you can use wall decals. You can take advantage of the variety and high customization of vinyl for the walls of your Victorian room. It will be a more traditional pattern in floral style, but you can also opt to choose an original design as a monochromatic landscape. Our wall decals store offers options in Victorian style but you can also order a custom design if you have in mind. To choose a custom design, do not forget that the Victorian style is characterized by the use of dark colors like burgundy, green or purple, floral patterns and prints, although you can also include butterflies or birds. 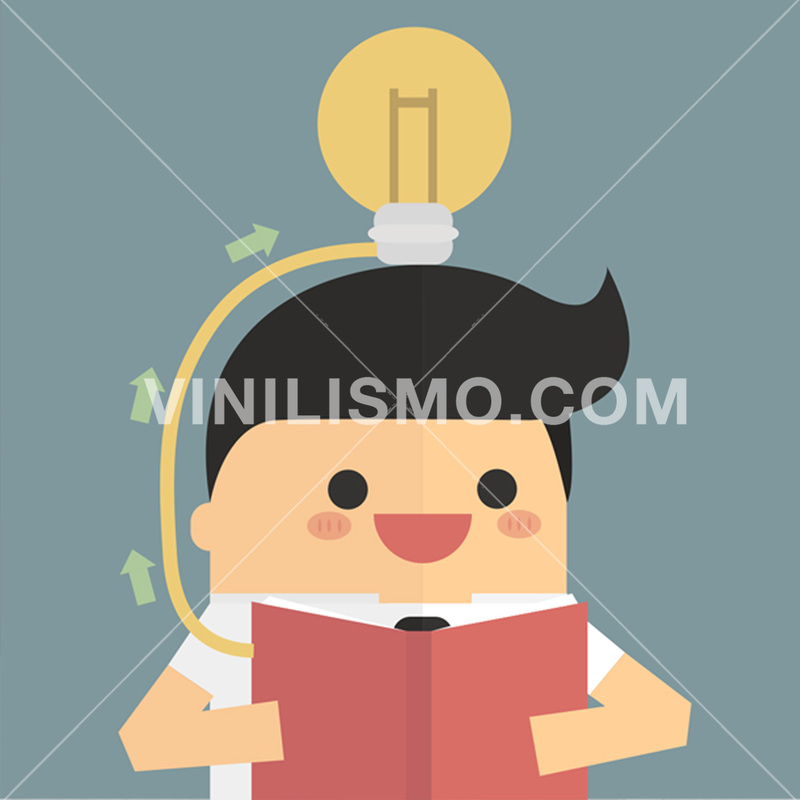 This entry was posted in Interior Decoration, Wall Decals on October 23, 2015 by Vinilismo. Since not many years ago, humans began to become aware of the damage that can progress to cause on Earth. Pollution, increased waste and lack of care, have caused much damage. As inhabitants of the planet, we must be responsible and work from our place to reduce the negative impact that our lifestyle can have on nature. Change can start from small changes in everyday life: turn off the lights did not use to save energy, use less the car and replace it by bike or simply walking, and reduce waste we generate are good ways to begin the change. We can also contribute to environmental stewardship talking with family and coworkers about these concerns, and coordinating these small actions to achieve a more global change. Our wall decals store will do its part, by giving you ideas to reduce waste that is generated after using our products. When you place an order at our wall decals store, the order comes in a cardboard box containing the product. And after being applied, will remain as residue a sheet of transfer paper. To use these elements, we introduce an idea that, in addition to helping reduce waste, will be very helpful in keeping your home organized. The Kirigami not to be confused with the technique of origami although they are related. Both work on paper, but is not karigami simple folds, but involves creating reliefs by performing cuts. The results can be truly amazing and beautiful. 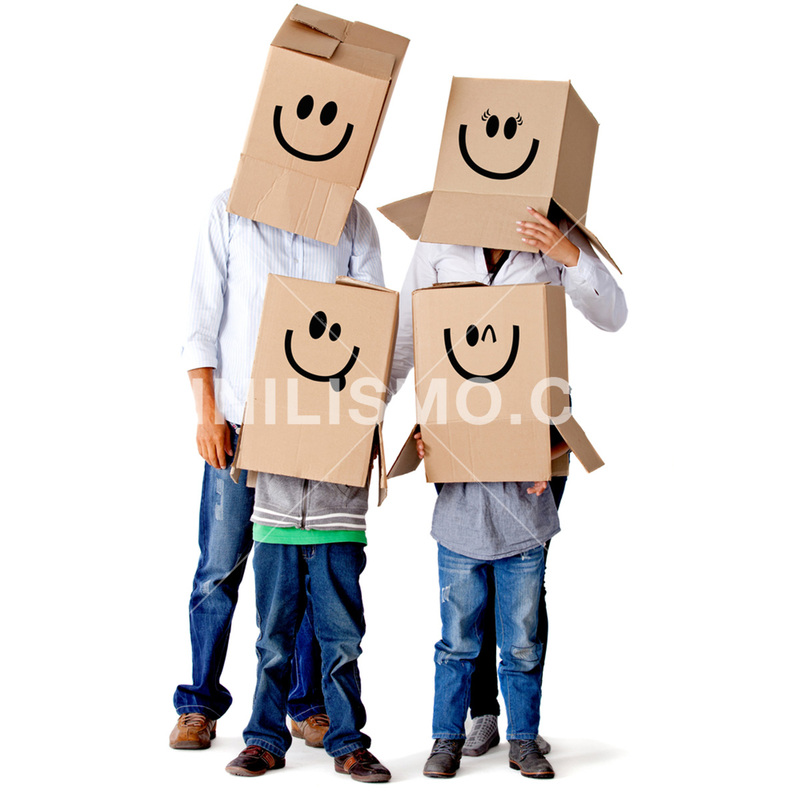 1.- Materials Leftover of your vinyl purchased at our store: cardboard box and the paper sheet transfer. 1.- Draw on a transfer paper a special design for kirigami (You can find "kirigami templates" on the web. There are simple models and other complex, please start with a simple one and then experience). 2.- Use the cutter to make the necessary cuts in the design. With the same cutter, make folds to create the relief of the figure. And presto! And you have your organizer Homemade Karigami design and you've made your contribution to reducing waste at home and on the planet. We hope you like this idea of recycling have served to you as inspiration and can create your own organizers. This entry was posted in Interior Decoration on October 16, 2015 by Vinilismo. The loft style originates in the 70s in New York. At that time, young professionals in search of low rents and spacious place, they began to inhabit sheds that could also be used as a workplace. The large spaces allow artists, photographers and painters, have good lighting for their works. Then it is a growing demand for this type of space. The loft has become a cutting-edge style and high standard. Decorating smaller spaces took elements of style and adapted mixing the own loft, with elements of other styles. The style can also be adapted to the decoration of offices, and in fact is currently used with the rise of co-working spaces that are established in the same kind of sheds that lofts. Creative Workspaces allow the coexistence of different workers in the same environment, and so the loft style is recommended for decoration of shared offices. The spaciousness and good lighting, are an excellent combination for creatives. The main feature is the existence of a large space without divisions, with an aspect that refers to factories, and light. The different areas of the house are connected together, perhaps only divided using furniture as a library. To add rooms to the loft, often added mezzanines to separate additional rooms. The materials used must give a "factory look" into space: cement, brick, plastic and metal for furniture. The original elements of the structure can be incorporated into the decor. When choosing a color palette, you should favor those cold: light blue, blue, gray and white. To raise the temperature a little place can be combined with earthy colors and vanilla. Another point to consider is to allow the entry of natural light. The large windows are combined with artificial lights for the night. The loft should have very high walls. If the place where you want to achieve a decoration loft style not meet this requirement, you can simulate painting the walls with vertical stripes or using a wallpaper with that design. The wall decals will be useful in your project decorating offices or loft rooms. One possibility was mentioned above, it is to acquire vinyl with vertical stripes to create an illusion of greater height in the rooms. Another option is useful when creating divisions environments. If you place a traditional library to separate one from the other room, the back of the cabinet can be decorated with wall decals to avoid overlooking the plain wood. You can also incorporate a vinyl imitating rustic brick walls wing view or directly on the walls to reproduce the look of a factory. With these tips, you can get down to work and start decorating your workspace or your apartment with loft style. This entry was posted in Interior Decoration, Wall Decals on October 9, 2015 by Vinilismo. Architectural styles are often the inspiration for interior decoration. This is the case of the Georgian style, inspired by the architecture of the dynasty of Georgia, who ruled England in the eighteenth and nineteenth centuries. This elegant style can fit the decor of the rooms of your home, you just have to pay attention to its characteristics to reproduce and adapt to your spaces. The colors represent the most appropriate way Georgian are pale as cream, dark pink, sage green, light blue. Floors and baseboards can include wood colors, white, olive and stone. If you are among your chances, including a fireplace in the room, you'll end accentuate the style of the room. The design called "Toile de Jouy" in the patterns is essential. It may be included on the couches or chairs upholstered in pillows and even curtains. The Toile de Jouy comes in different patterns and colors, all are valid. Other common patterns are stripes, Chinese designs of birds, flowers and landscapes. Garland type curtains or blinds are also included. Furniture should be preferably wood and very delicate. The ideals are those that have carved legs curves. The backrests (chairs, couches and beds) are drafts. You can also include fabric-lined furniture. When choosing objects to decorate, you should seek chandeliers, gilded mirrors or carved wood frame, flowers, vases, wooden lamps, glass, brass or silver. Try to keep a symmetrical pattern in the decor of the rooms with Georgian style. An interesting idea for decorating walls is to divide the walls into three parts: the lower part of about 75 cm, it can be covered with wood paneling. 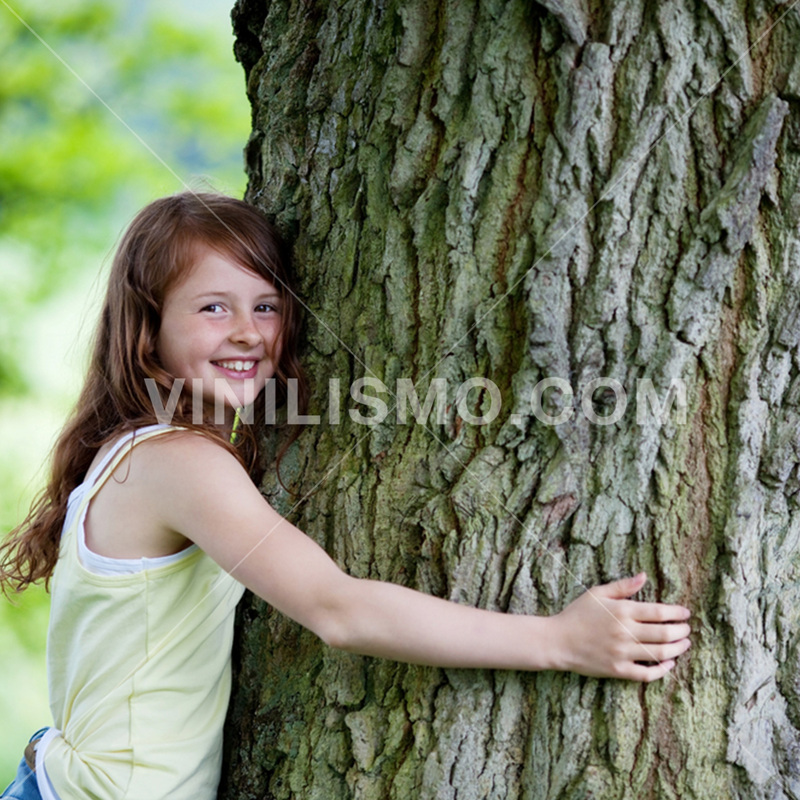 These coatings can be replaced by the use of wall decals with wood motifs. Part of the center is decorated with fabric panels and, finally, top with a cornice fleecy right on the part near the ceiling. As already mentioned, wood is an important element in this style. Whether for decorating walls or furniture coating can be as a side table, the decals will be very useful when it comes to imitating the texture. If the idea for wall decoration in three sectors is not to your liking, another option is to upholster one wall with vinyl stamping Toile de Jouy style. This motive will leave the imprint of Georgian in your room, and can be combined with a similar increase in the upholstered armchairs, cushions or curtains reason. The vinyls have advantages over paint when such patterns mimic much detail. The work of a painter to fill a wall with these reasons would be very expensive, time consuming and cause setbacks in the home run. Wall decals are clean and easy and quick installation. Looking design that you like and begin to shape your room Georgian style. 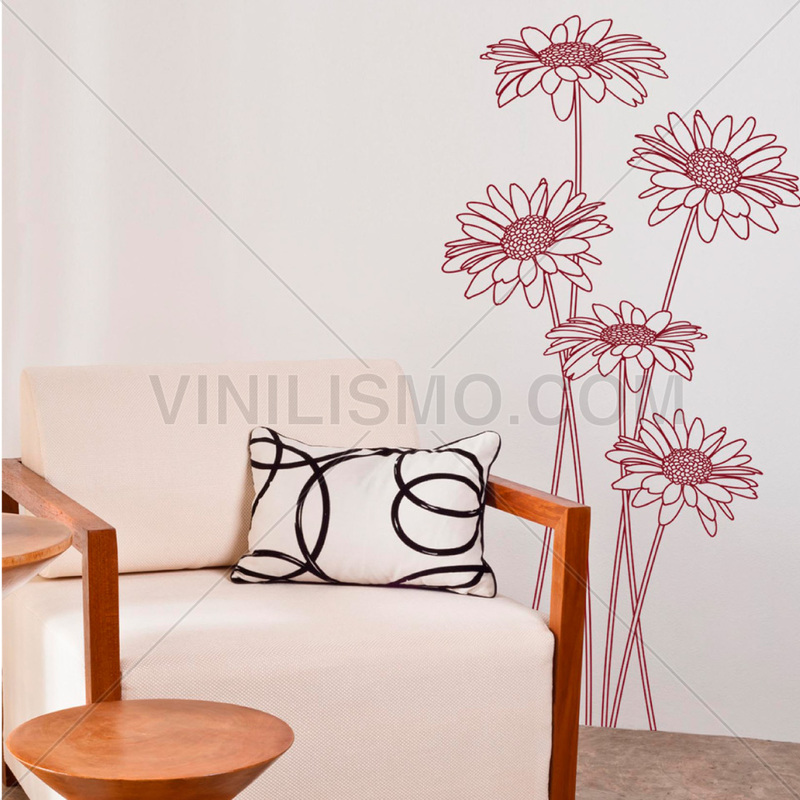 This entry was posted in Interior Decoration, Wall Decals on October 2, 2015 by Vinilismo.